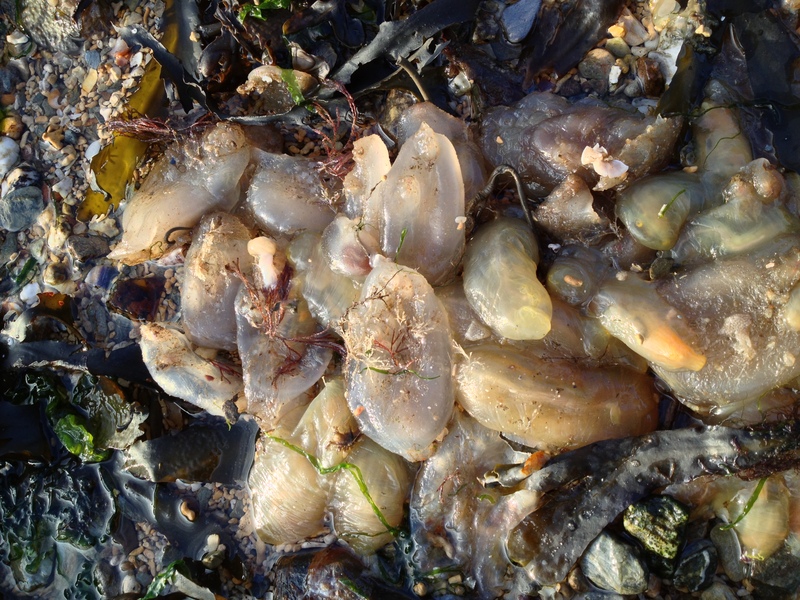 This weekend I found a lot of washed up tunicates on the beach in Flushing. I should have taken a closer look at the spot to try to identify them. However, my friends at the British Marine Life Study Society facebook page pointed out that it is likely a mix of Ciona intestinalis, Corella eumyota and Ascidiella aspersa. This entry was tagged Ascidiella aspersa, British Marine Life Study Society, Ciona intestinalis, Corella eumyota, tunicates. Bookmark the permalink.